Yes, this really is the 80th monthly update for my maps. All these monthly updates mean you not only start with an up to date map but you can keep them up to date too. 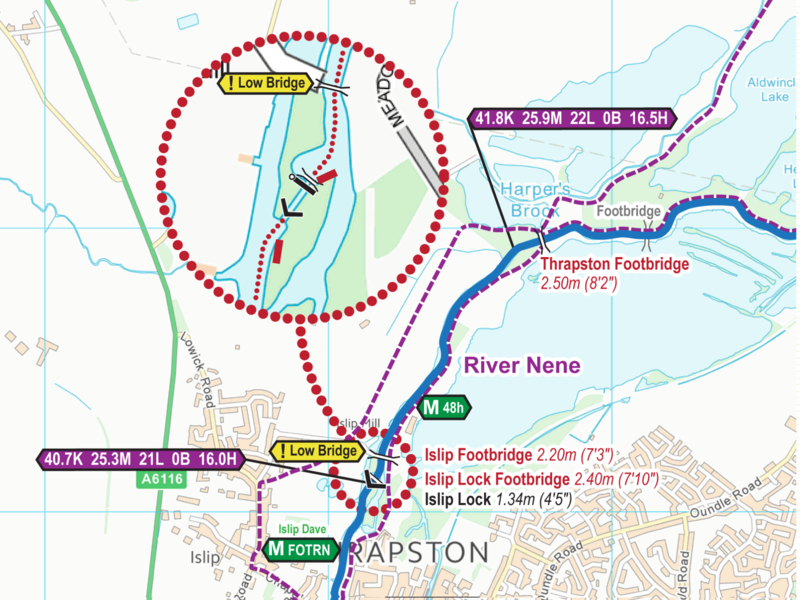 Extract from River Nene Map showing Thrapston. You can update your map to the latest version – cost price for the next six issues after purchase, then a discounted charge after that. You can also upgrade to a larger map. Just email paul@waterwayroutes.co.uk with details of your existing maps for a no obligation quote. This entry was posted in Blog, Map Updates 2018 by Paul. Bookmark the permalink.